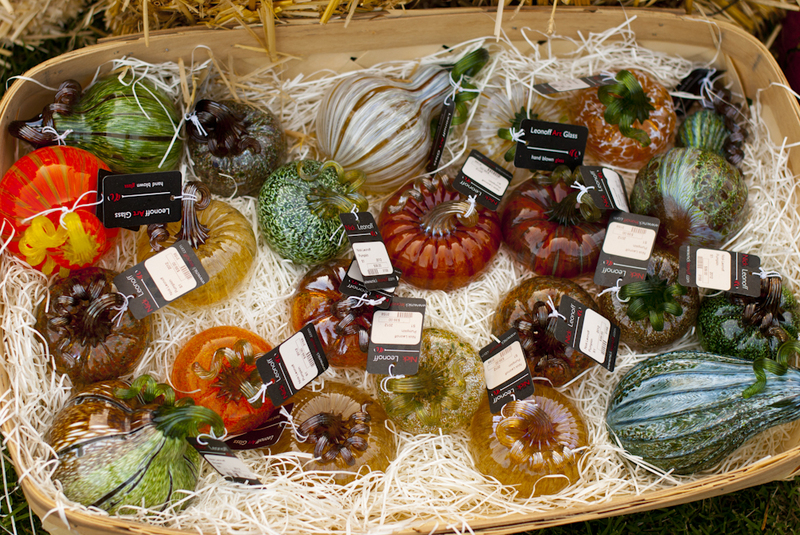 Every autumn I look forward to the Great Glass Pumpkin Patch. It is a Bay Area tradition that started seventeen years ago. 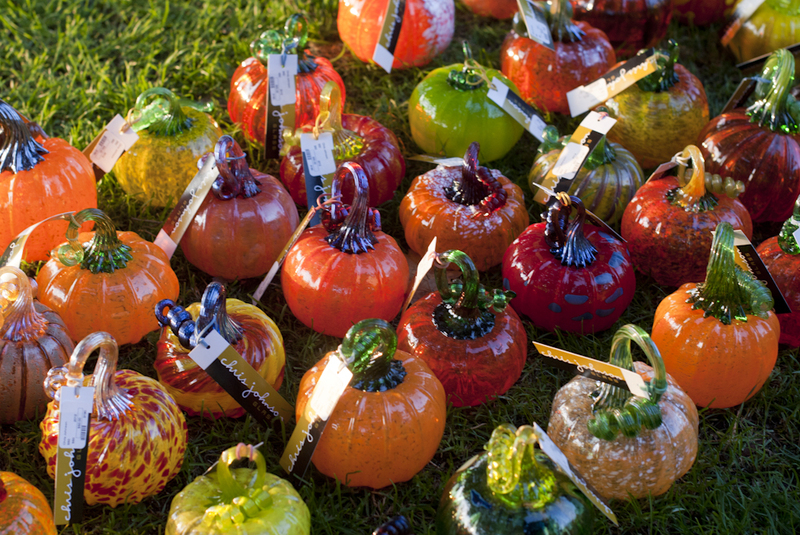 It began with only 750 pumpkins but year after year, the event got bigger. 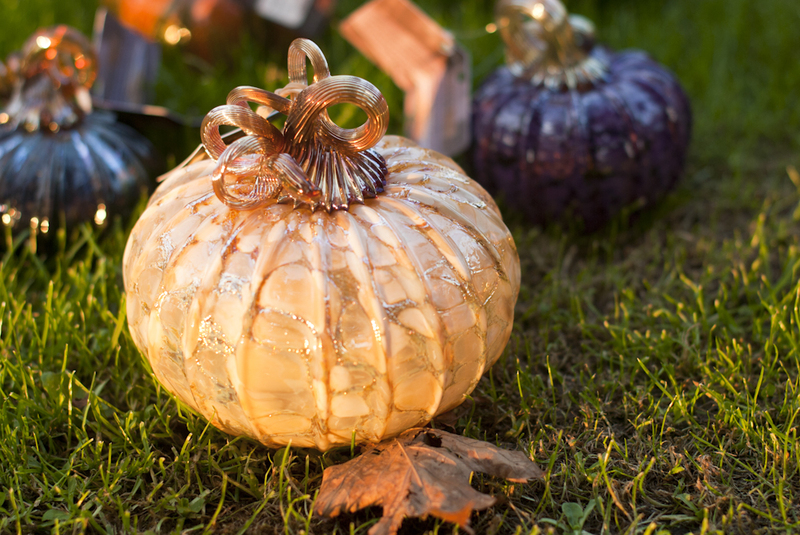 This year there are over 8,000 uniquely hand-blown pumpkins crafted by more than 30 glass artisans. It is a fall highlight for me!!!! No two pumpkins are alike. They come in all sizes, colors, shapes, and prices. 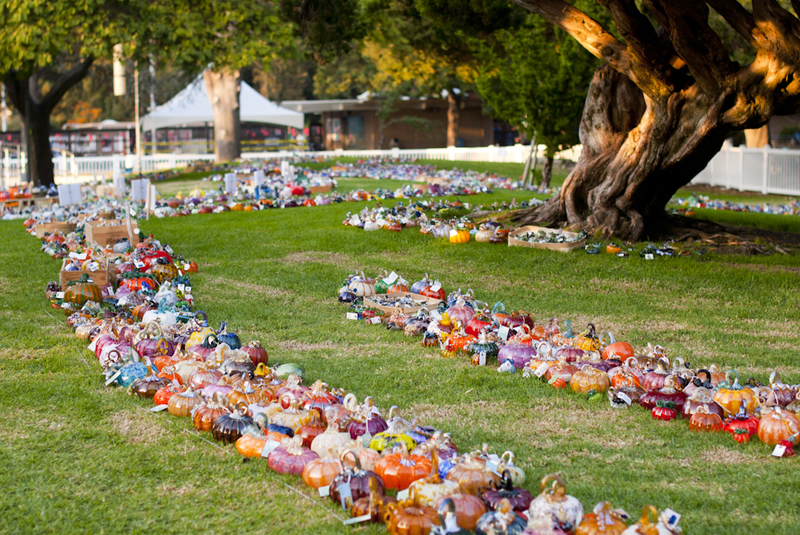 Like a real pumpkin patch, the glass pumpkins are scattered throughout the grass on the event location. 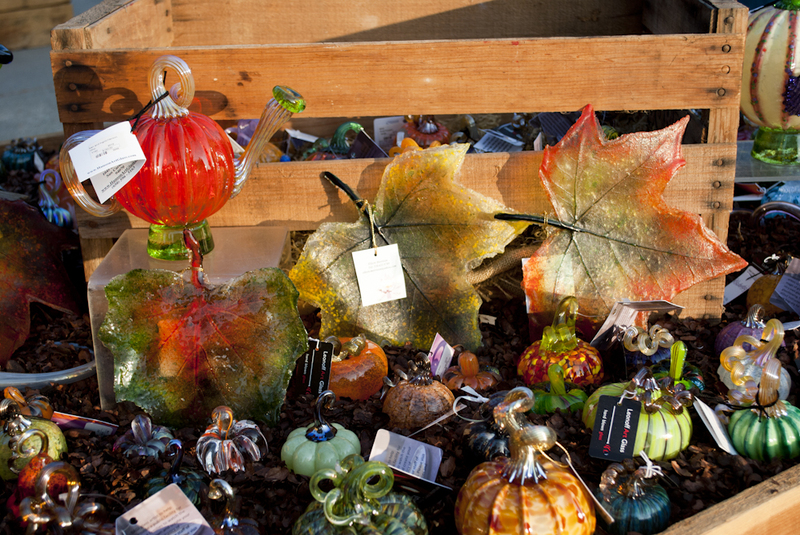 Smaller ones are gathered together on display tables along with other autumn decorations. Over the years, I have fallen in love with this event. 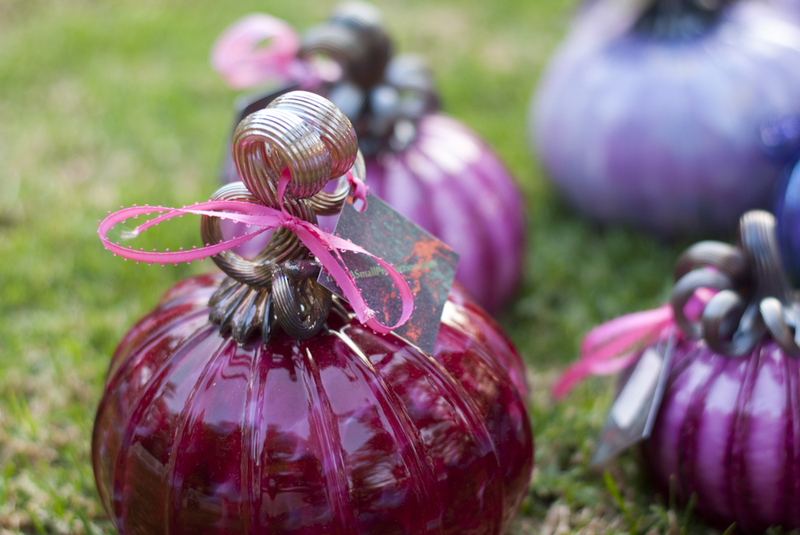 I always go with my camera in hand trying to capture the whimsical nature of my favorite pumpkins. 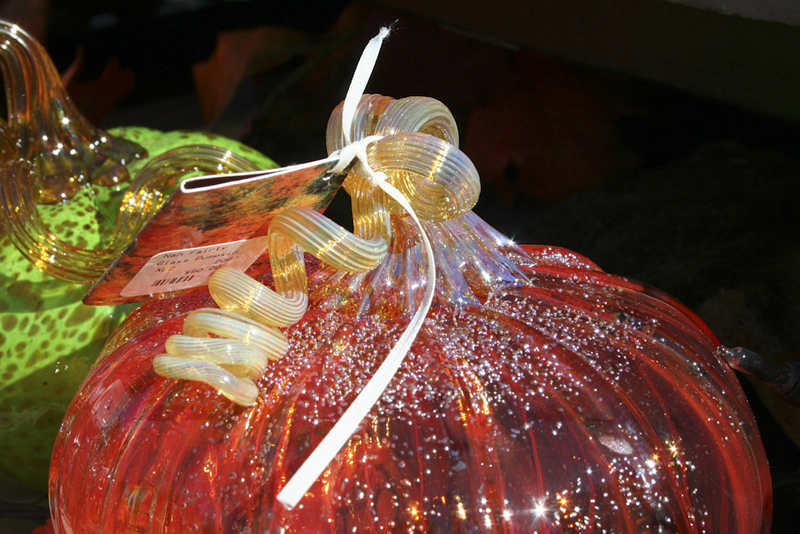 I’m always dazzled by the way the light sparkles on the glass edges and makes the pumpkins glow. And the colors. . . oh the brilliant colors – they are so diverse and bright! 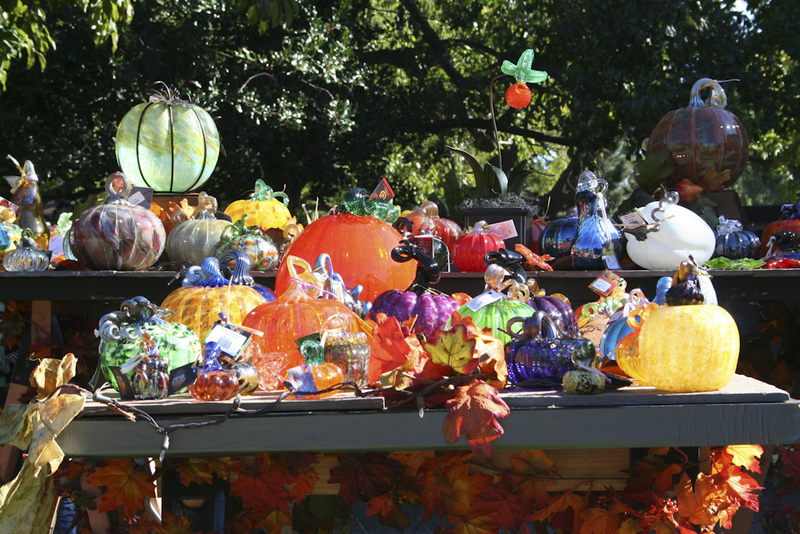 The glass pumpkin patch is a feast of inspiration for any artist! 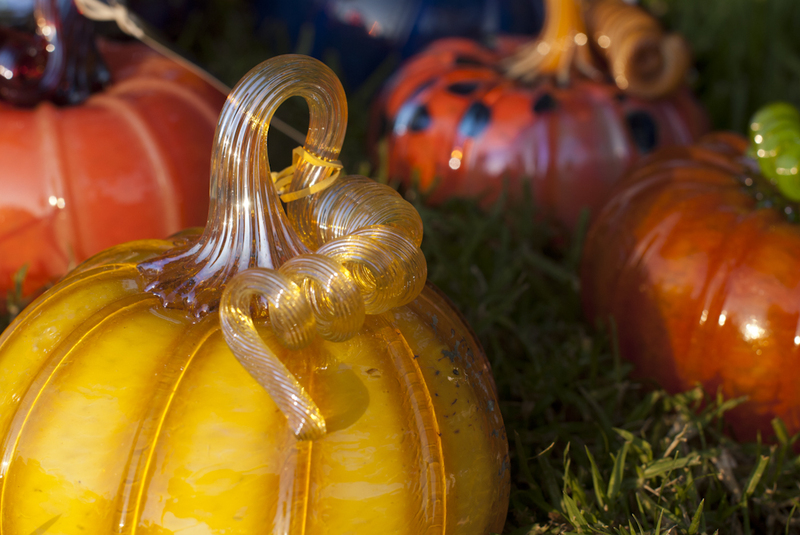 Anyone can visit the Glass Pumpkin Exhibit. It is the perfect place to go to get into the festive mentality of fall or just be inspired. 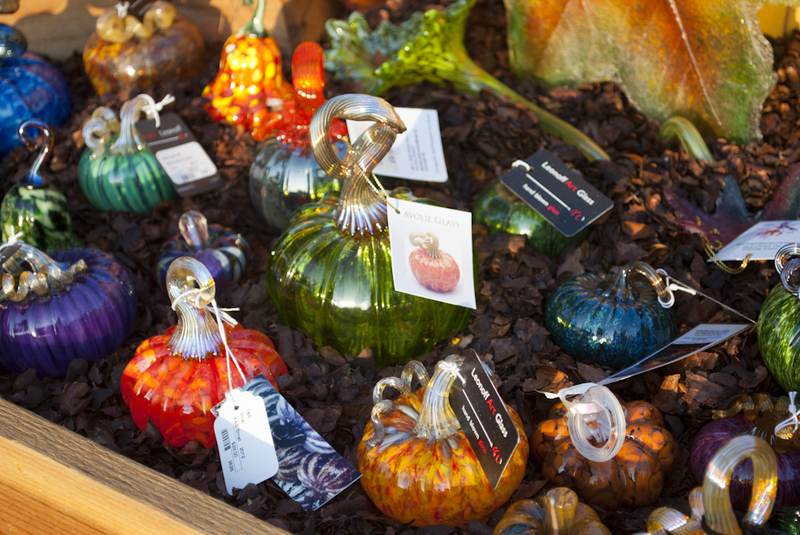 And who can pass up glass pumpkins? It seems that young and old alike can be captured by their beauty! This event is open to the public for viewing for several days and then the sale begins. Every last pumpkin will be sold. 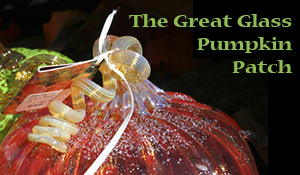 People have been known to sleep over to be the first in line when the sale begins to purchase their favorite pumpkin. 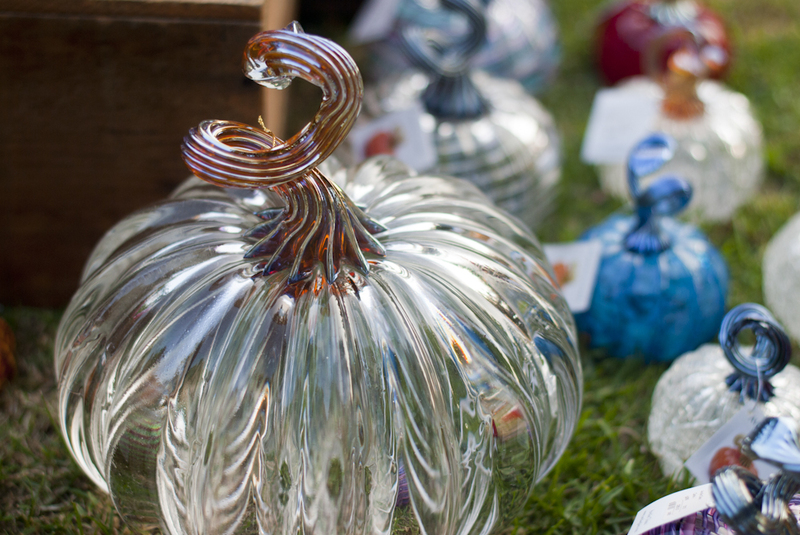 I’m telling you this now, because there is still time to visit this year’s Great Glass Pumpkin Patch and fall in love with this Bay Area tradition! The exhibit is located at Rinconada Park in Palo Alto, CA and is open now thru Friday, 9/28/12 at 5pm. Then the sale takes place Saturday 9/29/12 & Sunday 9/30/12 from 10-5pm. So please. 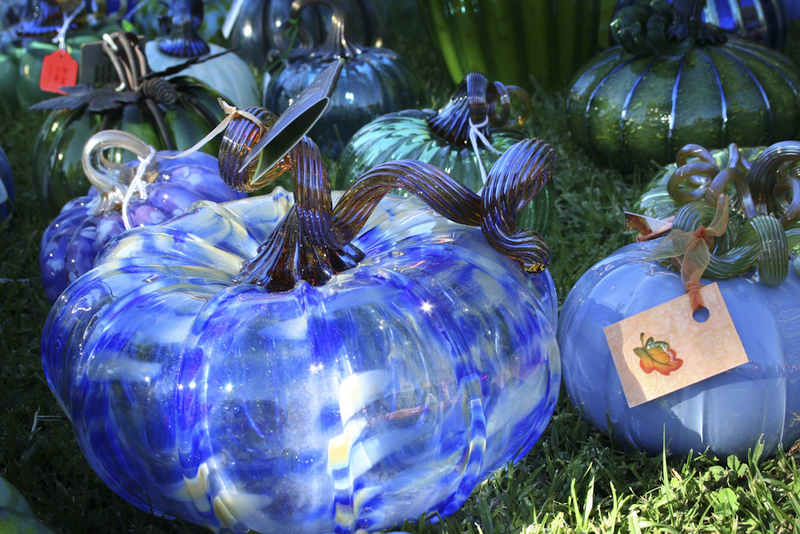 . . if you haven’t already, go check out and experience The Great Glass Pumpkin Patch! 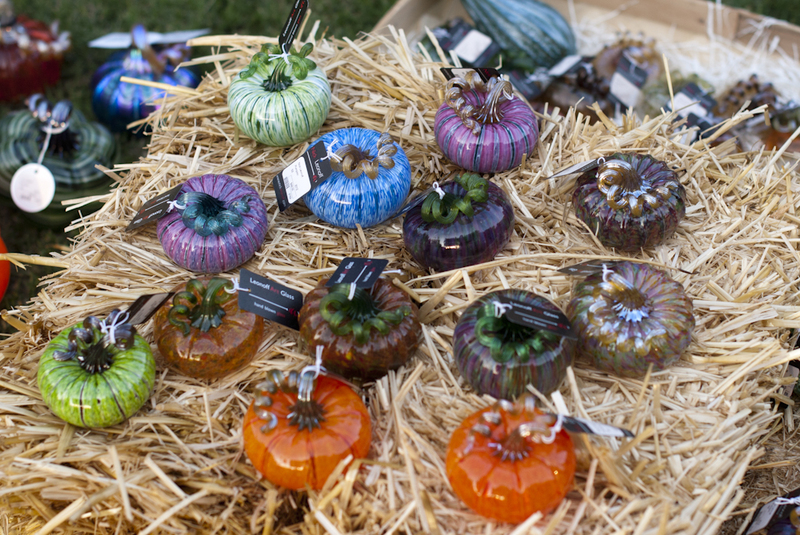 Here are some photos of this year’s Great Glass Pumpkin Patch to give you a taste of what you must go and see. And just because I couldn’t help myself, here are some of my favorites from previous years. 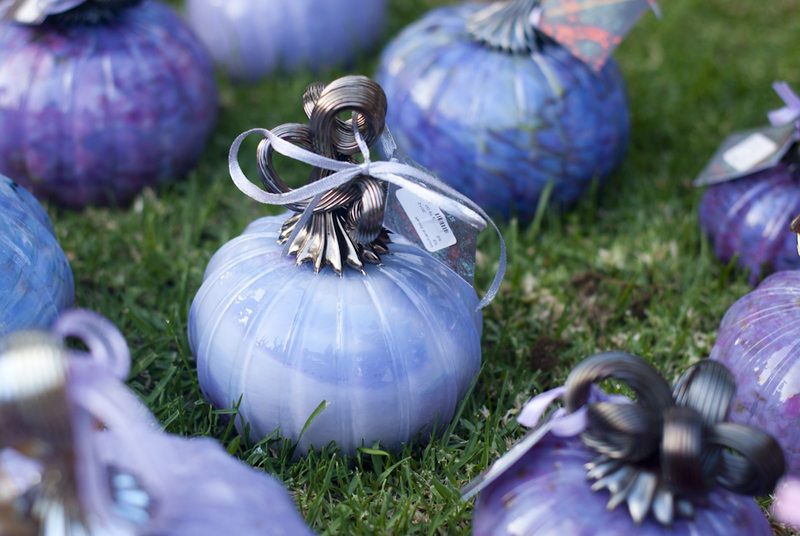 I have fallen in love with glass pumpkins because of this event and and it is my hope that you might be able to enjoy the beauty of them too! Great work love, your so cute! Thanks Hubby for taking us this year!! 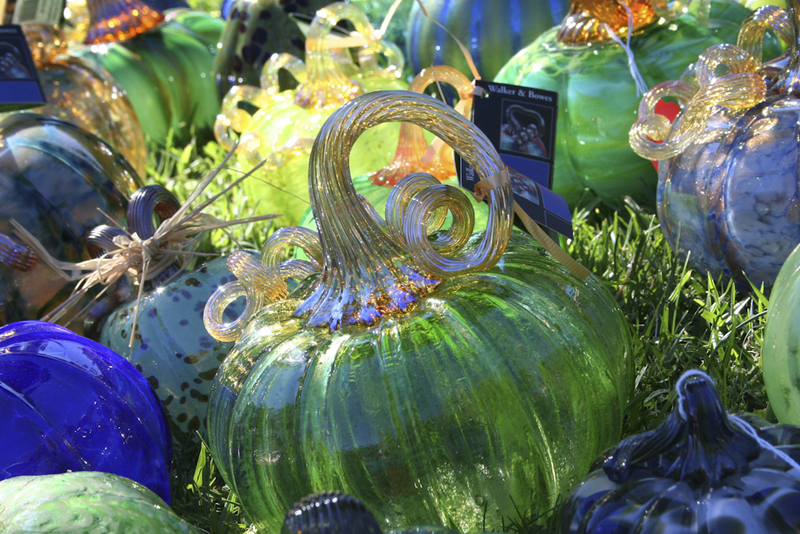 Naphy, thanks for the stroll through the beautiful glass pumpkin patch! 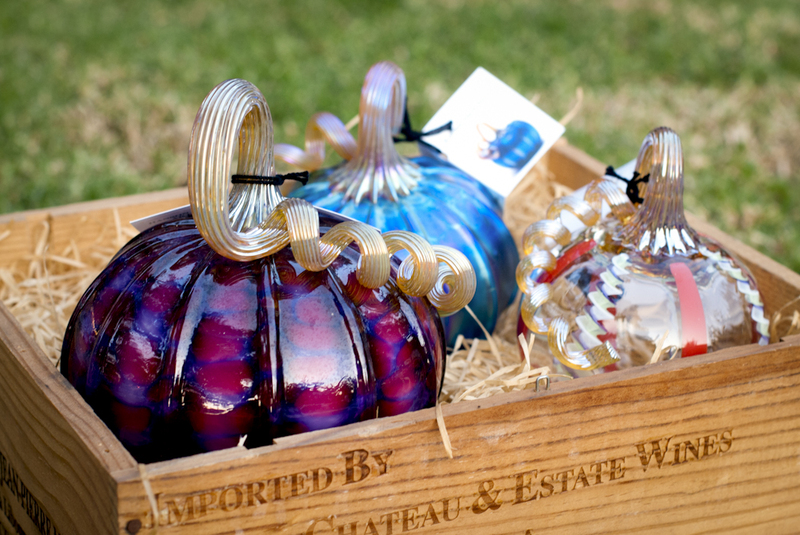 I have two of the prettiest glass pumpkins that were gifts from your mom a few years ago. I believe the artisan was from the Grants Pass area. I just love them!! Oh how fun Judy!!!! 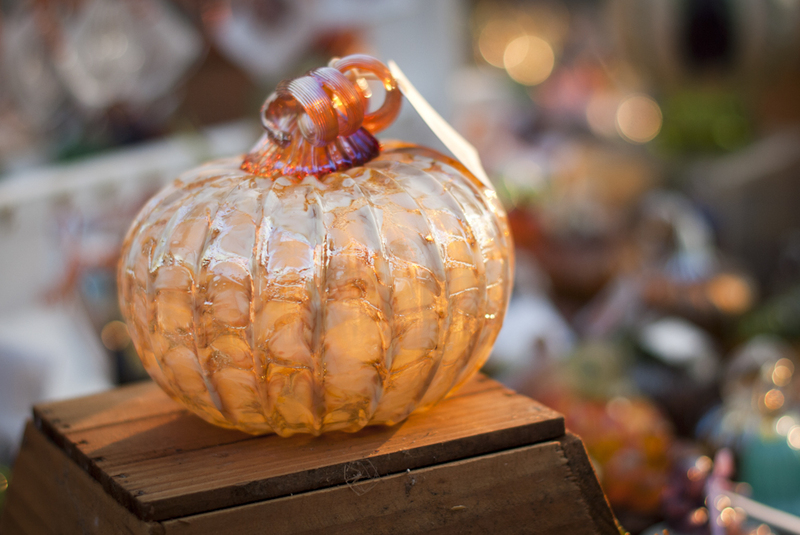 Glass pumpkins are the best! And they do such a great job at The Glass Forge in Grants Pass. 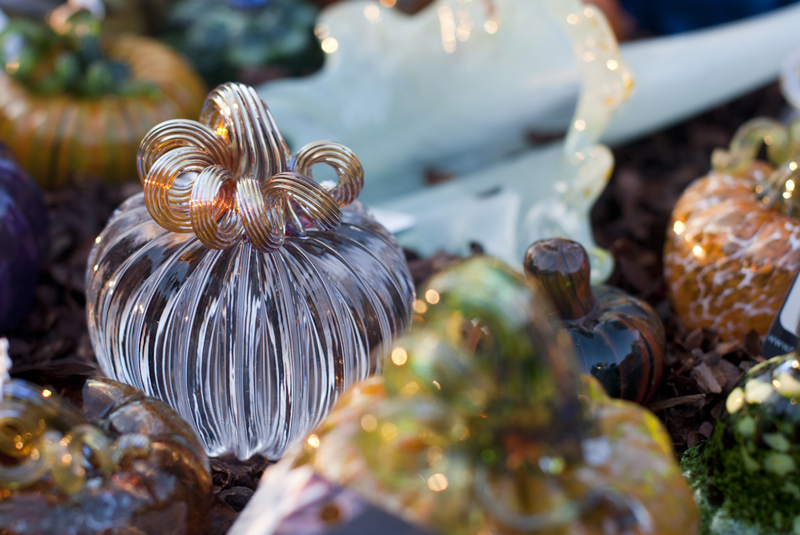 Papa and I made glass paper weights there last year and it was quite the experience! Glass making is INTENSE!! Hope you are well Judy! !